The Once Upon a Read-a-thon is hosted by Reading Angel, Candace's Book Blog, and Pure Imagination and runs from July 9th to July 11th. You can still sign up here. If you use twitter, you can update with the hashtag #OUReadathon. *My Once Upon a Read-a-Thon Goals & Updates here. Answer: I really can't pick one. So I'm going to pick two if that's okay. 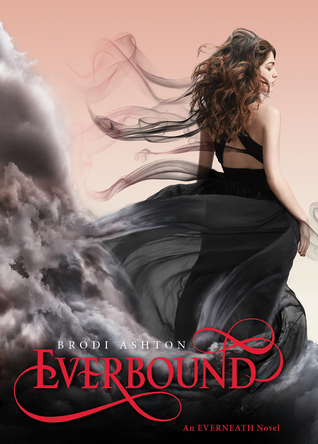 I love Everbound by Brodi Ashton and Sever by Lauren DeStefano. The reason why I love both of them is because they have gorgeous dresses! 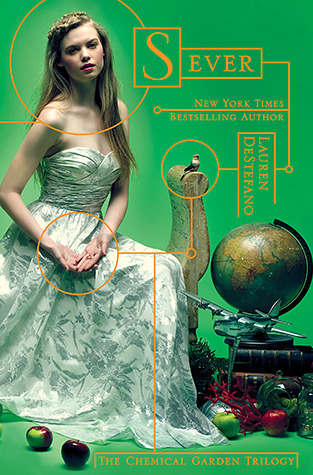 *Everbound is the second book of Everneath. I love the first book and very excited to read the second book. The cover is gorgeous with the black dress and black smoke. *Sever is the third book of The Chemical Gardan Trilogy. I just love the green background. The dress is so pretty! I would love to wear that dress. The details on the dress is stunning. The yellow color font matches perfect with the cover. Answer: Hm, I think most people do rely on the cover. I sometimes don't, but most of the time I do. I need to stop though because you shouldn't judge the book by it's cover. Nowadays, all the covers are so pretty. Love these 2 covers! They are both awesome. Everbound is so beautiful, and Sever is so involved and detailed! Great picks!